RoxyAnn Winery handcrafts bold and exciting wines that possess tremendous color, complexity and depth of flavor, in a distinctively Southern Oregon style. 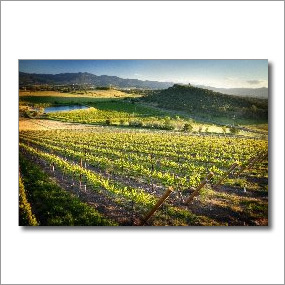 RoxyAnn Winery was founded in 2002 utilizing some of the historic orchard lands of Hillcrest Orchard on the southwest facing slopes of Roxy Ann Peak. Sustainable land management practices and time proven agricultural methods are used throughout with a commitment to preserving the land for future generations to experience in all its natural beauty. The RoxyAnne Tasting Room is open daily Noon - 7:00pm. Situated in the historic Hillcrest Barn and overlooking colorful gardens and vineyard it's the perfect place to enjoy some fine wines and a picnic.